I rarely eat out but sometimes my husband will pick up something and bring it home. 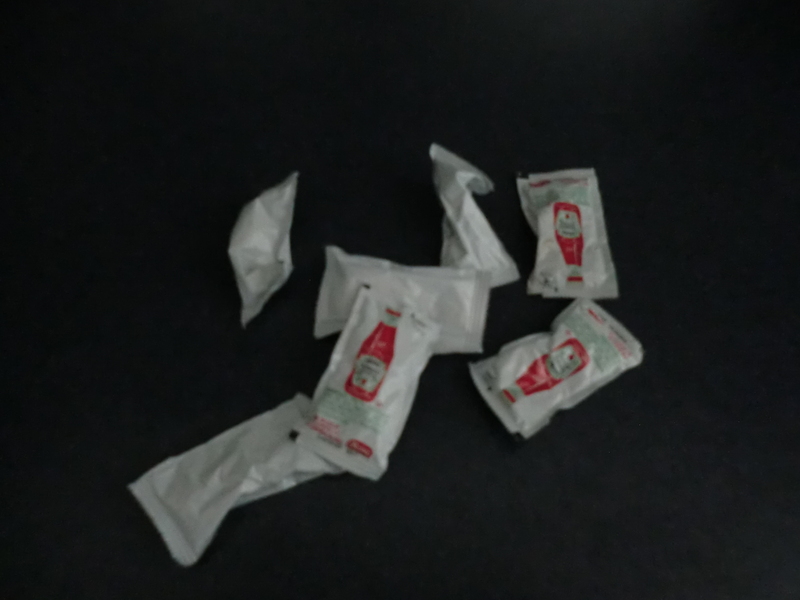 I hate to throw away the condiment packets. I open them and add them to my bottle of ketchup. I got this idea from a magazine that sold a gadget that would hook two bottles of ketchup together. The last few drops of ketchup from the nearly empty bottle would drip into the top of the new bottle. I never bought the gadget, but I do balance the almost empty bottle on top of the new bottle to get the last little bit out. I also do this for shampoo, body wash, etc. I check the expiration date on the older bottle before I combine it with the new one. The older product is decanted first as it is on the top. As for the condiment packets, I add them to the bottle right away since there is no expiration date on them. I would not use this tip on packets that have been lying around! This entry was posted in Food, Use What You Have and tagged Food, Use What You Have by Frugal Fish. Bookmark the permalink.